Marva, Dunston, and Everton grew up in Canada, the U.S.A. and England, respectively. Now deported “home,” each quickly discover a very different Jamaica from the idyllic paradise seen in vacation ads or from their vague childhood memories. Every day is a fight for survival in a place where family support, friendships, and shelter are elusive. Danger also surrounds them at every turn in a country that has the third highest murder rate in the world (per capita). Then there is the fact that Jamaicans uniformly blame deportees for much of their crime. 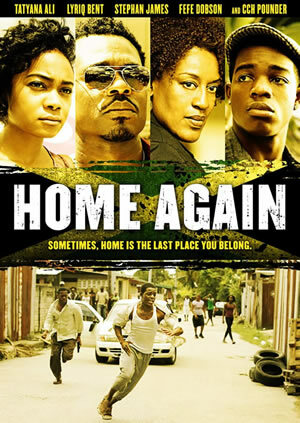 Home Again follows the lives of three individuals that embark on a journey filled with great obstacles, but along the way they find the most human of emotions… hope.